People are more motor-mouthed than nimble-fingered. In fact, we speak three times faster than we type. Dictaphones and similar tools for writing are an over-hyped relic of the past. Glorified memory aides, the lot of them! Even if you used them, you’d have to type out your dictations anyway. For today’s time-pressed writer on the move there’s an efficient alternative to typing: dictation apps on your phone. Here are three dictation apps that save writers' time. 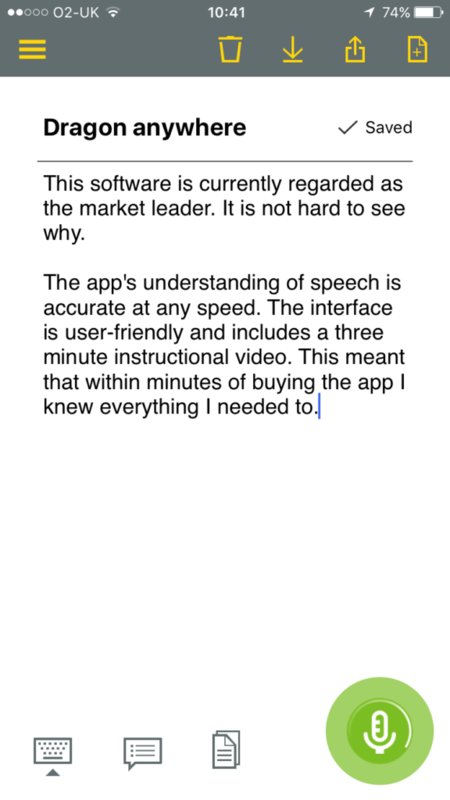 All iOS products have in-built dictation software, powered by Siri. This system is highly accurate and intuitive. It understood commands and could keep up even when I spoke faster. It works best while connected to Wi-Fi although it will still work when connected to 3/4G. But, this can be spotty dependent on your signal. The app is less accurate when there is background noise. But, a headset with a microphone solves that problem. You cannot delete words while dictating. Although, if you shake the device you can ‘undo writing’. It stops listening after 30 seconds. You need to either switch to typing or turn it on again. You can fix this problem by using ‘Enhanced Dictation’. But, it is only available on iPhone 6S or above and on OS X 10.9. At times it had trouble understanding my Scottish accent. A pain highlighted all too clearly in the video below! 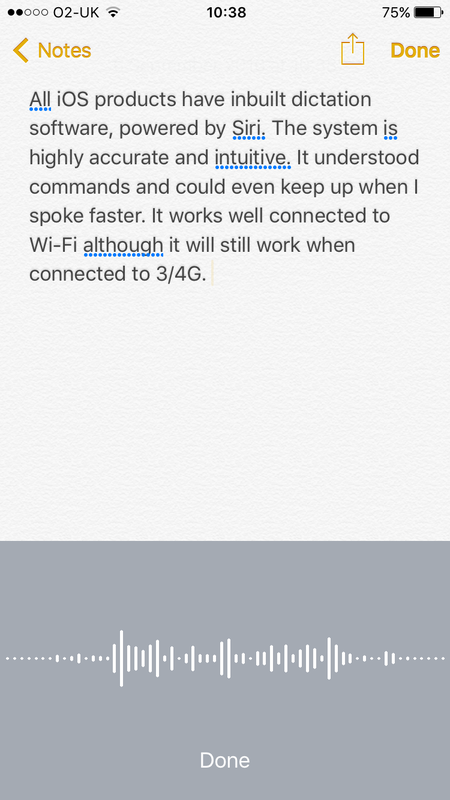 Despite these complaints, Siri dictation works well. It can handle talking at speed and has good word recognition. For a free in-built piece of software, it is highly effective. 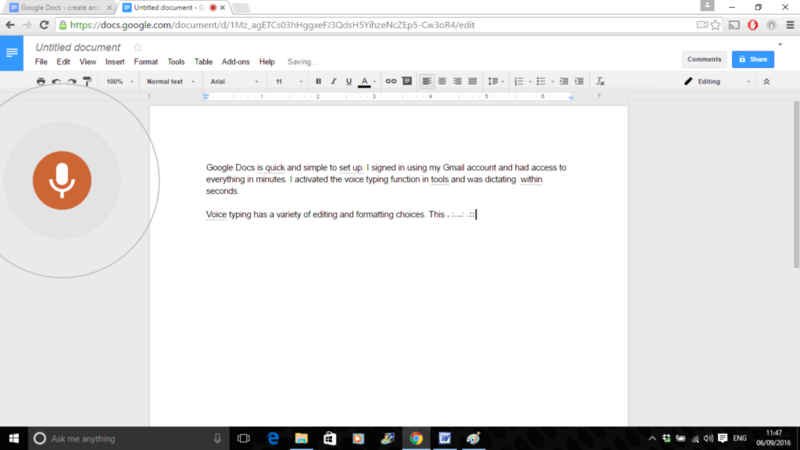 Google Docs, available on both desktop and on android, is quick and simple to set up. I signed in using my Gmail account and had access to everything in minutes. I activated the voice typing function in ‘Tools’ and was dictating within seconds. Voice typing has a variety of editing and formatting choices. This allowed more in-depth alteration than the other two apps on this list. I had some issues with my accent again, but they were few and far between. My only real complaint was that it wrote ‘period’ or ‘full stop’ rather than punctuating. Despite this, the free app was accurate and user-friendly. It performs to a high-standard, not surprising when Google are the creators. Nuance’s Dragon Anywhere app is the market leader. It’s not hard to see why. The app’s understanding of speech is accurate at any speed. The interface is user-friendly and includes a three-minute ‘how-to’ video. This meant that within minutes I knew everything I needed to. There are many ways to edit and adapt text while dictating. Crucially, you can delete during dictation; you just say ‘scratch that’ or ‘backspace’. You can also select individual words and phrases for easy editing. The app, besides note taking, also lets you dictate to other apps and write emails. Dragon Anywhere handled background noise well but it struggled as the noise levels rose. If you use a set of headphones with a microphone this shouldn’t be an issue. What I really enjoyed about this app is that it had no trouble with my accent. The software was almost 100 percent accurate provided background noise wasn’t too loud. The only potential downside of this app is its cost. There are three pricing packages available. These start at £14.99 for a monthly subscription to a £149.99 for a full year. You can also get a week-long free trial if you’re unsure if you want to buy. There is also a free app available, ‘Dragon Dictation’. But it has limited functionality compared to Dragon Anywhere. You can't see the text until you finish dictating. Also, there is less editing capability. Although this app has value for money, you pay for quality with Dragon Anywhere. The average person types at a rate of 40 words per minute and speaks at 150 words per minute. If you write 1,000 words a day, you will save 18 minutes by dictating rather than typing. That is an hour and a half a week freed up for something more productive. What more is there to say?